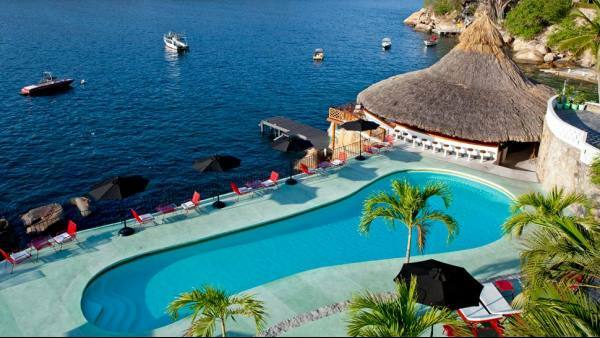 Acapulco is the consummate Mexican resort town, and its long history as a destination for global sun-seekers is evidenced by its practiced hospitality: this place knows how to show visitors a good time. 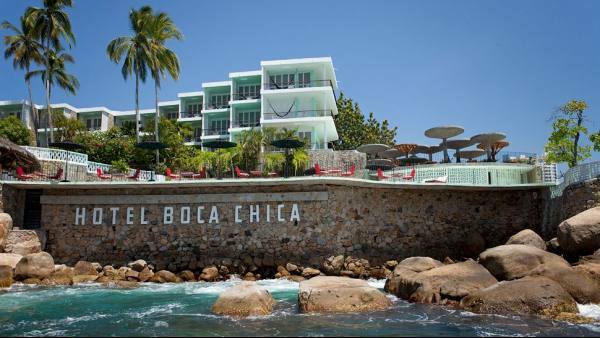 The Hotel Boca Chica is designed to do just that, intended for anyone from golfers to honeymooners looking to have a little fun Acapulco style. 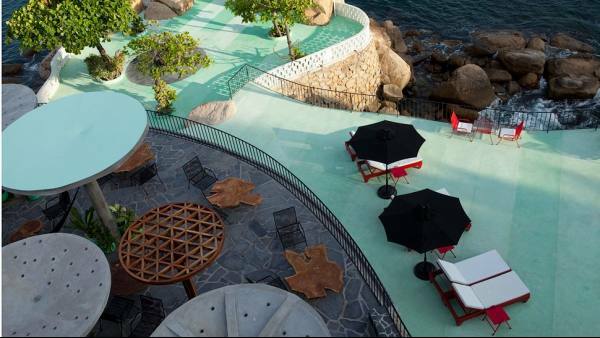 Located in the vibrant Caleta neighbourhood just steps away from an idyllic beach cove, the hotel boasts a vintage exterior straight out of the 1950s. Inside, though, a refurbished interior curated by Mexican artist Claudia Fernández is anything but old-school, with chic design elements assuring a sophisticated contemporary ambience. 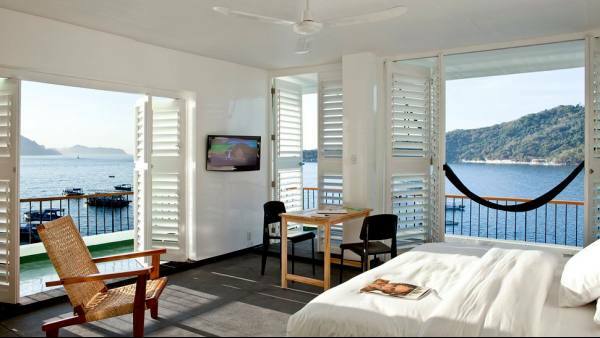 The hotel consists of 30 rooms and six suites, all of which come complete with hammock, outdoor living room, private garden and tropical aesthetic. Amenities include Dr. Bronner bath products, wireless Internet and 24-hour room service. A spa area provides for all guests’ wellness needs and features a fully-equipped gym, several massage cabanas and a therapy area where a team of trained experts offer a range of body and facial treatments. 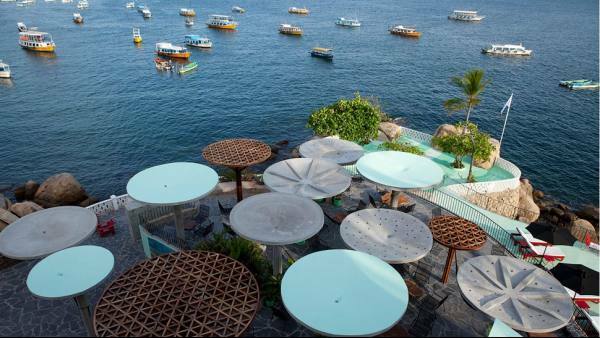 During the day, guests can lounge at the Boca Chica’s pool terrace, stroll through its charming marina or explore its well-stocked boutique shop. But once the sun sets, the place to be is the in-house bar and disco, where guests and visitors dance and mingle all night long. The hotel restaurant provides meals and snacks to meet every taste, including a special sushi take-out menu.